The Key Moves® 4 spinal rehab offers a fresh perspective on tailoring movement therapy for the more effective rehabilitation of spinal pain disorders - and many ubiquitous ‘injuries’. 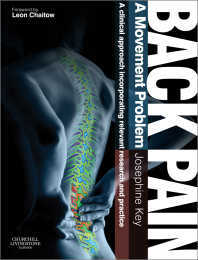 The approach deconstructs movement to help you both clarify spinal movement ‘faults’ – and reintroduce important basic patterns of healthy control. These trainings will help you to identify changes in movement patterns that cause or are related to spinal pain, and provide you with a progressive series of exercises you can use to improve your clients function and ease their pain. The Sydney series will be offered as one 4 day workshop in Brighton, UK. November 24-27, 2018. 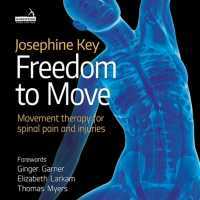 Keep an eye out for Josephine’s latest book: “Freedom to move: Movement therapy for spinal pain and injuries” - to be published in September this year by Handspring publishing, UK.